The Purpose Project, LLC is a multidisciplinary behavioral healthcare practice that offers life coaching, career counseling, psychotherapy, leadership training and nonprofit management. Most Major Insurance Accepted. A psychosocial assessment is given to individuals to evaluate their biological background that completely assesses both their paternal and maternal make-up. This assessment not only evaluates the individual consumer’s mental and/or behavioral needs, but it also assesses the care-givers positive or negative role in the nurturing of the consumers growth. Psychosocial assessments can be used as beginning tools to assist in creating treatment plans and means of successful application of treatment. This form of an assessment is geared towards description of the presenting issues and the needs of treatment, while utilizing all factors of a consumers surrounding to apply treatment. I work effectively with couples and families experiencing a wide variety of issues and problems. Family counseling is designed to address specific issues that affect the psychological health of the family, such as major life transitions or mental health conditions. It may be used as the primary mode of treatment or as a complementary approach. Career planning will assist you with the myriad of career challenges you may be facing. Your interests, styles, and abilities to find and enter the profession that best suits you will be examined. After conducting a thorough evaluation of the your personality traits, I will use my expertise to help the you assess your skills base and direct you to a career wherein those skills may be most profitably employed, both financially and in terms of job satisfaction. The coaching process addresses specific personal projects, business successes, general conditions and transitions in the client’s personal life, relationships or profession by examining what is going on right now, discovering what your obstacles or challenges might be, and choosing a course of action to make your life be what you want it to be. Through an interactive and developmental process, I will help you pursue strategies and solutions designed to move you towards the rapid and satisfying attainment of your personal goals. Training that is specific to Executives in the context of working within themselves to project an external enhanced leadership, thereby continuing to develop their personal skills, as well as enhancing their interactions with peers, subordinates, and in some cases the employer’s clients. Our training combines current research with practical application that is designed to challenge and motivate participants to act on the information they receive. Professional development training, workshops and seminars are available for those in the early care and education field (i.e. teachers, administrator and program manager), counseling and nonprofit. Some of the training may qualify for Continuing Education Courses -CEU credits and are State-Approved by Georgia’s GECEPDS/DECAL. Mental Health Consultation is a collaboration between the mental health professionals, program staff, and parents on how to design and implement program practices responsive to the identified behavioral and mental health concerns of an individual child or group of children. • Provide information, education, and support for staff on how to identify and work more effectively with children with atypical behaviors or developmental delays. • Coach parents to help them address and respond to their children more effectively at home. • Provide direct therapeutic intervention with children through play therapy and other developmentally appropriate therapeutic activities. • Provide family or individual counseling to parents or staff members as needed. • Collect data and maintain records, and support compliance in all mandates of Head Start Performance Standards and State Regulations. Supervision for individual who are seeking to obtain full licensure as psychotherapy and other mental health disciplines. It consist of the practitioner meeting regularly with professional to discuss casework and other professional issues in a structured way. I work personally with licensure candidates to review their work with clients, their professional development, and often their personal development as well. The Purpose Project provides innovative and results-oriented strategies to move your non-profit agency to the next level of performance, impact and success. We help Non-profits, foundations and governmental agencies identify opportunities for growth and change; build strategies for success and effectiveness; and produce high-level results. 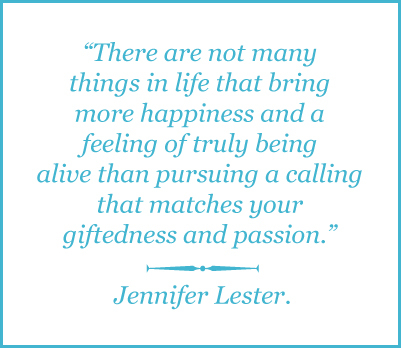 Jennifer Lester has electrifying energy that is conveyed in each speech and training. 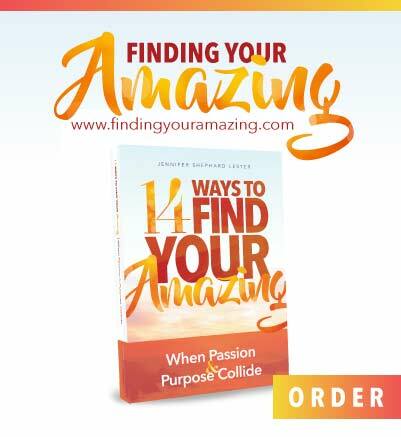 She delivers a powerful yet practical message that fosters personal and professional growth. Abracadabra! Unleashing Your Magic. Use the Power of Words and thought create a magical life. Bloom Where You’re Planted Be Great Where You Are! If you’re waiting for the perfect time to start… The time is now! Stop Watering Dead Plant LET IT GO! It’s time to move on! Letting go can be hard; you have to accept what is, let go of what was. We don’t get over the past, we get pass it. Purpose Planned Business Stop Sketching and Start Building. Turn your Purpose into to Profit! Build a company that allows you to share your giftedness with the world.